While Matt and I were back in the U.S., we often heard people tell us "I could never do what you're doing", as if we are doing the impossible (which we're not). This got me thinking that despite my efforts to explain my life here in India (the good, the bad, the frustrating...), there are several myths about expat life that simply aren't true. I came across a fellow expat blogger in Burundi, Africa, who has explained it so well that I have to re-post it here. 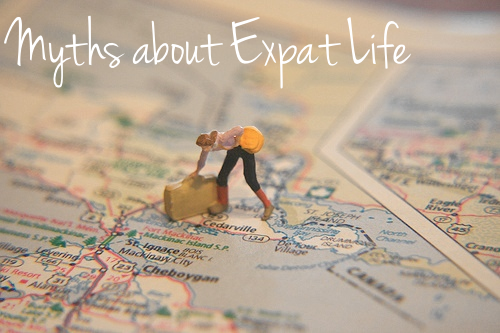 I hope you will check out "Debunking 5 Myths about Expat Life" at Long Miles Coffee Project. If you're an expat and have any more thoughts on this, please comment below! I hope that everyone has a great weekend. We are finally enjoying a break from the 100 degree temps, and plan to make good use of it! Wow! Greece sounds like a great adventure! Those 5 myths about expat living are entirely true. Especially the part about family. Missing out on the smallest things, like just hanging out and enjoying an evening in together with a mass family gathering - it's tough. But hey, we all have one life to live, and we gotta make the most of it, right?